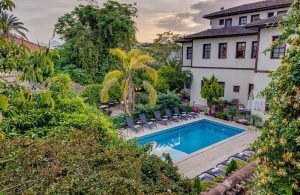 Tuvana is revitalized 18th century landmark mansions, set in the heart of Old Town district and turned into a charming boutique hotel with the careful renovation in 1989 through the guidance and directives of the national historical society. 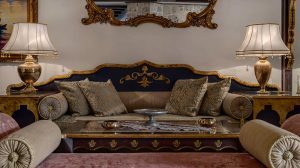 From the original renovation, Tuvana grew with 6 more buildings where that careful renovation and decoration tradition continued as each building and room equipped with the most modern luxury amenities and bedding for the right comfort. Tuvana garden is truly an oasis; perfect place to cool off in the pool or catch that sun for some suntan. 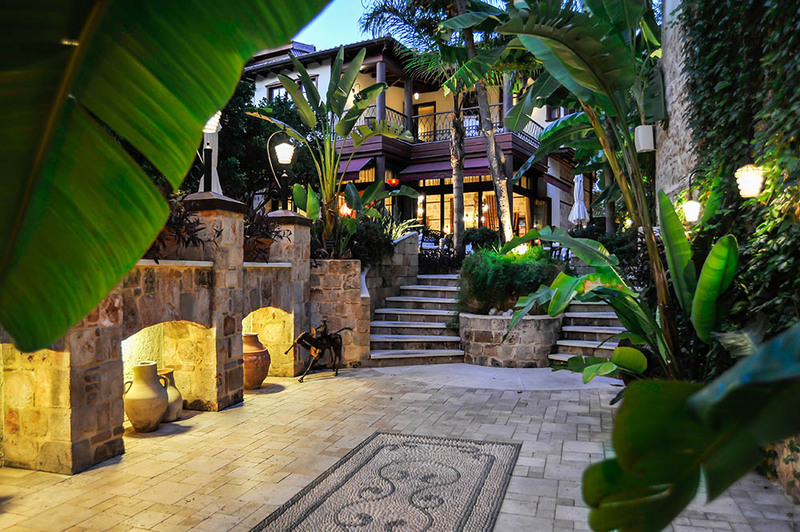 The swimming pool floored with hand made natural stone mosaics and surrounded by palm and luxuriant bougainvilla, is positioned in the middle of the garden to let you enjoy the nature. Feel always free to pick fresh oranges, tangerines, bananas, plums and pomegranates right from the trees! You may also experiment with some exotic tropical cocktails at the garden bar. Heavenly place to rest, relax and recharge. Central to the experience at Tuvana is what amounts to a culinary destination with a variety of celebrated dining options featuring world class food, mixology cocktails, craft beers, eclectic wines and trendy presentations. Through this philosophy; Seraser Fine Dining Restaurant, il Vicino Pizzeria and Pio Gastro Bar & Bistro and Kaftan Restaurant offer rich choices in the world of dining and eatery. With authentic art installations, unique ambiance, careful renovation and award winning food & drinks and some of the best service in town, Tuvana is seen as the cultural epicenter of old town.